Timex is definitely back in the mechanical business - and with a truly affordable Marlin Automatic. You probably don’t think of Timex as a luxury watch company. 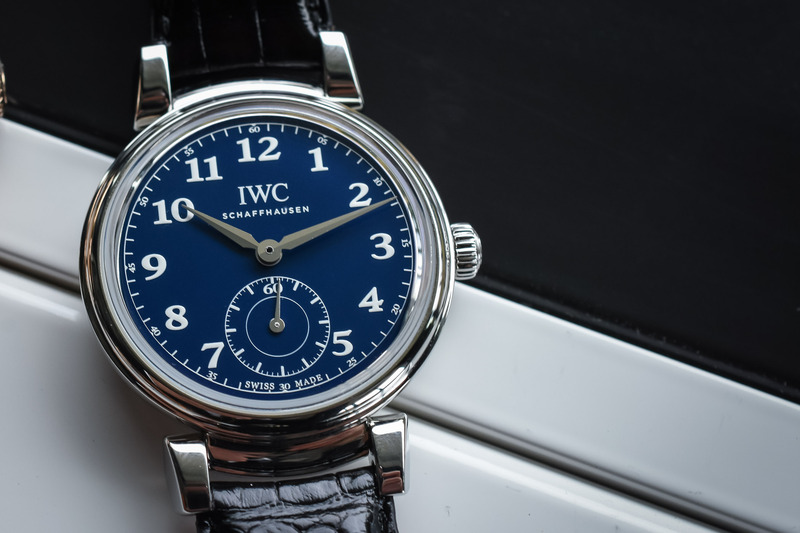 It’s among the most recognizable watch brands in history with a reputation for both affordability and reliability, and it never needed a four-figure timepiece to get there. Timex is also known as being a king of quartz, abandoning mechanical movements over a quarter century ago in 1982. 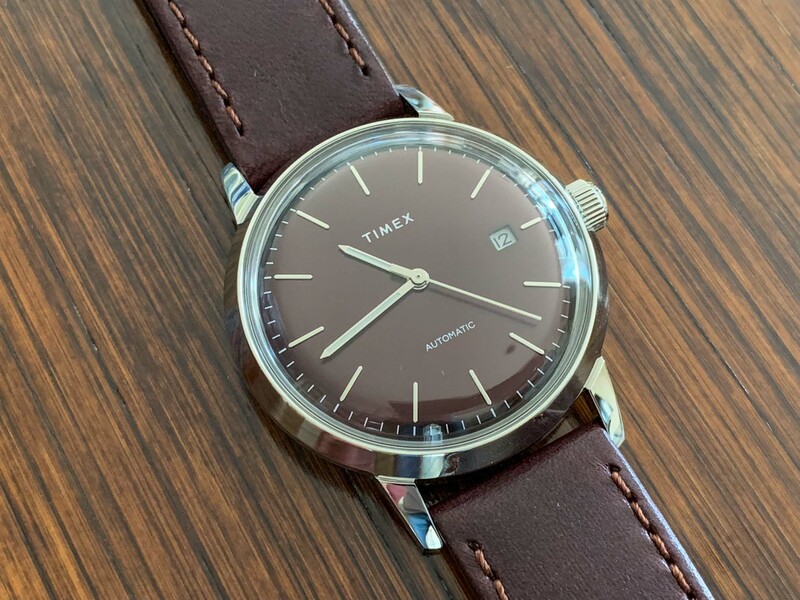 It finally bucked that trend last year with the hand-wound Timex Marlin reissue that faithfully replicated a piece from the 1960’s, right down to the (small) 34mm case and retro styling. It’s an interesting watch and generated a lot of excitement, but the old-school size and Chinese movement were turnoffs for some. The new Marlin Automatics are a different beast altogether with contemporary 40mm cases and proven Japanese Miyota movements. 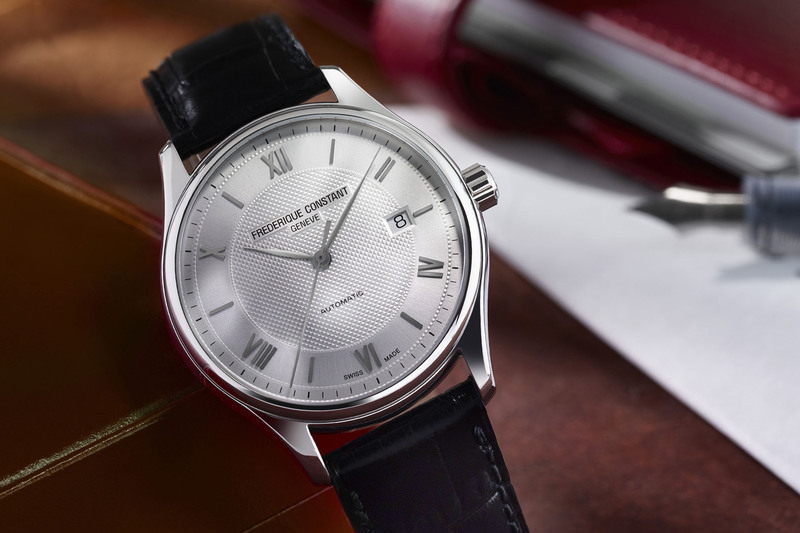 It’s a clean, refined series that helps reinforce the fact that a small fortune isn’t required to wear a classy dress watch. Let’s take a closer look at the new Timex Marlin Automatics. Whether you’re a Patek Philippe aficionado or have hardly ever worn a watch in your life, you’ve definitely heard of Timex. The company’s story goes back to 1854 when it was known as the Waterbury Clock Company in Waterbury, Connecticut. Even then, it had a reputation as an affordable alternative to expensive clocks coming out of Europe. In 1878, it had refined a production line to produce 200 inexpensive pocket watches per day, leading to an offshoot company to focus solely on watches. The new Waterbury Watch Company was incorporated in 1880 and became the largest producer of watches by 1888. This success didn’t last long as mismanagement soon led to bankruptcy. Robert H. Ingersoll & Bro. 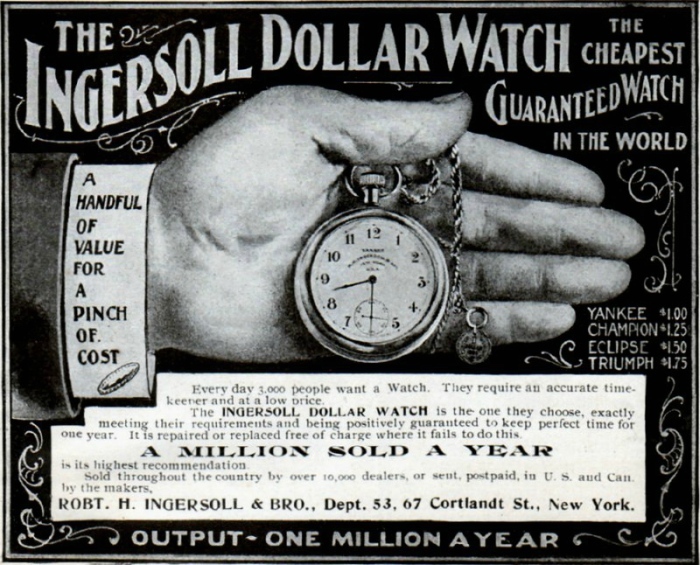 bought the Waterbury Watch Company factory and began producing Ingersoll Watches in 1914. The Waterbury Clock Company began modifying small Ingersoll pocket watches into wristwatches for soldiers in World War I, producing some of the first wristwatches in the world. In 1922, it bought Robert H. Ingersoll & Bro., which itself had fallen into bankruptcy. It found great success with the famous Walt Disney partnership in 1930 and started producing Mickey Mouse watches and clocks under the Ingersoll brand name. Officially introduced in 1933 at the Chicago World’s Fair, the Mickey Mouse line became a real financial boon and quite literally saved the company. Following an acquisition, the company was renamed the United States Time Corporation in 1943. A new alloy called Armalloy, developed during World War II, became a cheap alternative to jewels in the company’s watch movements. 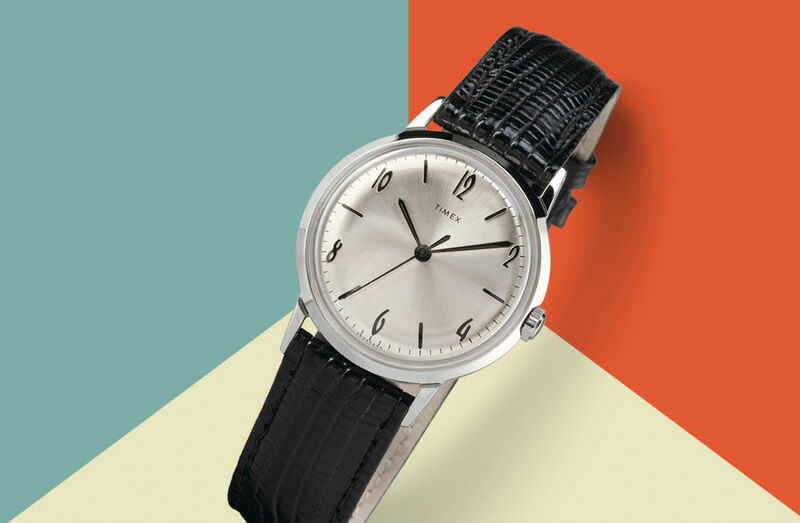 As a result, the brand “Timex” was born in 1950 as a part of the United States Time Corporation. 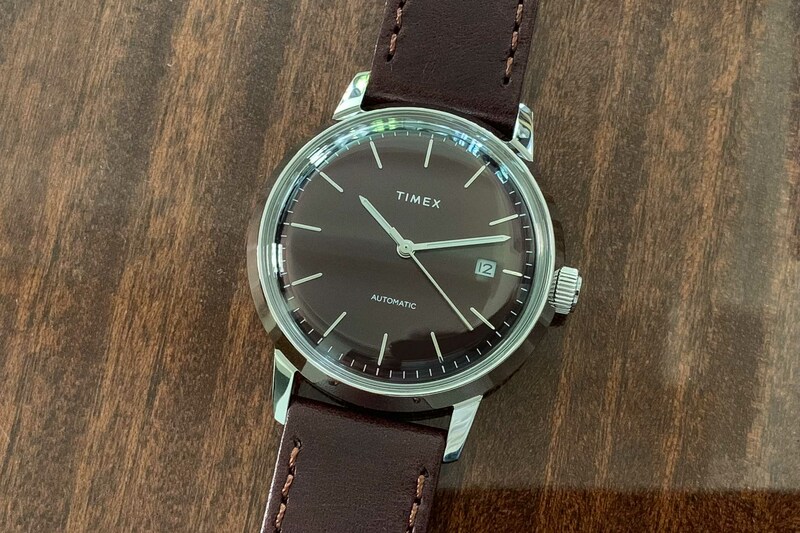 The “x” in Timex was “to convey the United States Time Corporation’s technological expertise and innovation.” As time went on, Timex developed effective marketing campaigns that became as important as the products themselves. “Timex – Takes a Licking and keeps on Ticking” is among the best-known advertising slogans in history. 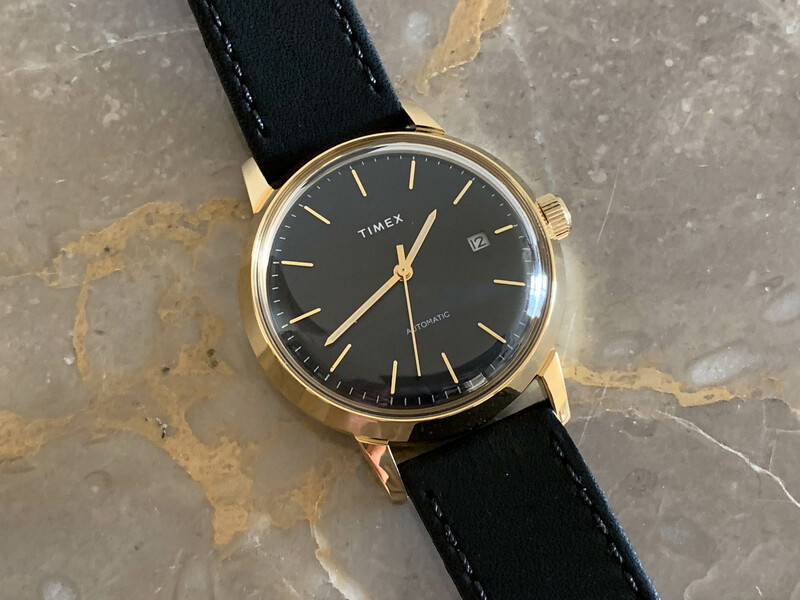 New distribution channels including cigar stands, drug stores and department stores carried Timex watches and by 1962, one out of every three watches sold in the United States was a Timex. The brand became such a worldwide success that in 1969, the United States Time Corporation was renamed Timex Corporation. Key products such as the Timex Ironman Triathlon and Indiglo night light models in the 1980’s and 1990’s kept sales booming and Timex continues to be one of the largest watch brands in the world. 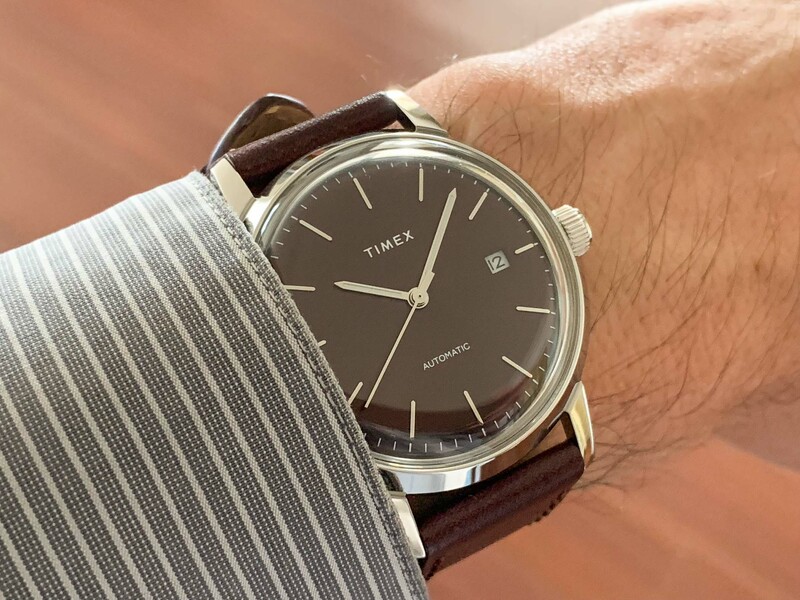 Unlike the hand-wound Marlin from last year, the Timex Marlin Automatics are contemporary watches without a strong throwback vibe. The polished and brushed stainless steel cases are 40mm in diameter and 13mm in height, and water-resistant to 30m. So they’re splash and rain proof, but you should probably avoid swimming. 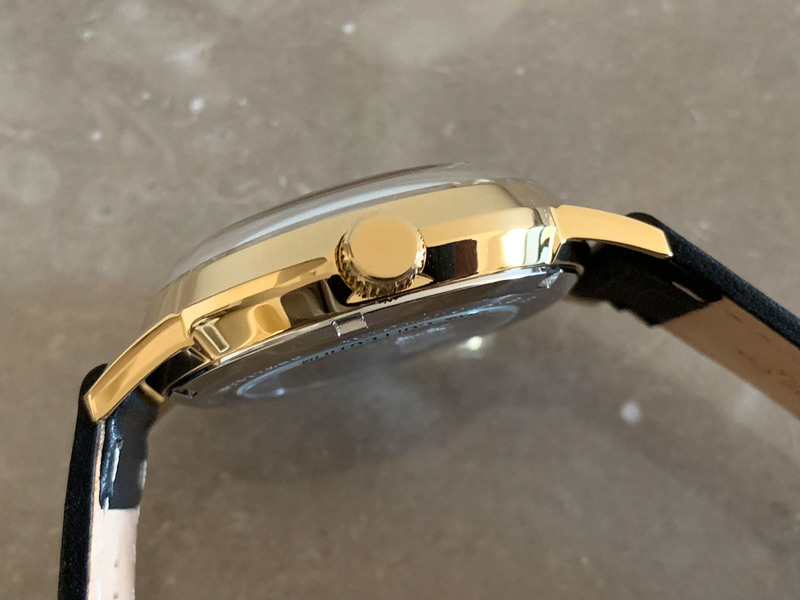 The crown doesn’t screw down but can wind the watch manually (which I personally find mandatory on automatic watches). There’s a scratch-resistant domed mineral crystal on the front with a flat crystal on the case back. I’m not bothered by the absence of sapphire crystals and the choice of material is a solid offering for the series. My only complaint would be an apparent lack of an anti-reflective coating. I wouldn’t go so far as to call these full-blown dress watches, but one would certainly be at home with a jacket and tie. They would also work with a T-shirt and shorts and are as versatile as the brand itself. The exhibition caseback displays a non-decorated automatic movement that fits the overall aesthetic. Timex is all about durability and practicality, and Côtes de Genève or perlage embellishments would’ve looked out of place. 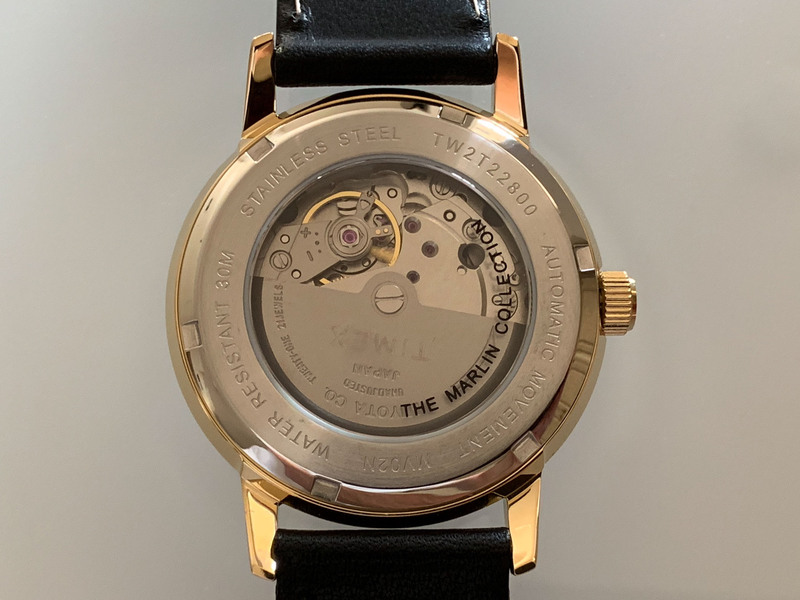 The movement still provides an interesting view of the beating heart and THE MARLIN COLLECTION has been tastefully printed on the bottom of the crystal. 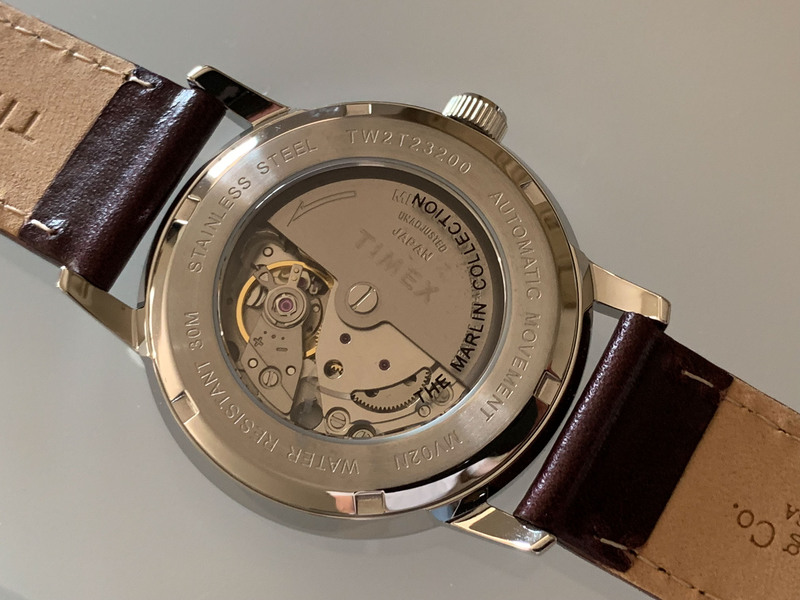 These look and feel like Timex watches as the design team didn’t stray from the company’s identity, but there’s an extra level of refinement that makes a real difference and I hope Timex continues to embrace this mechanical trend. 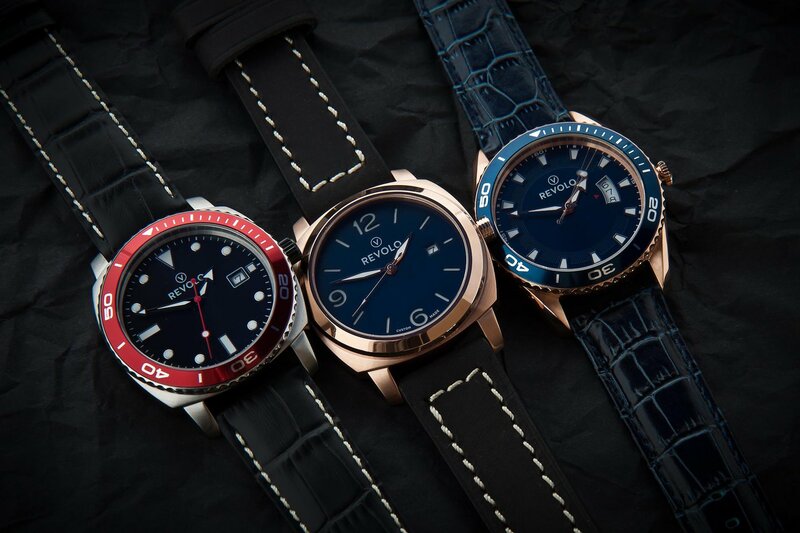 Three different dial colours are available in the series of four watches: black, silver and burgundy. Applied indices are simple sticks and differ from last year’s Marlin that had a combination of sticks and numerals. The hour, minute and seconds hands are silver on three models and gold to match the gold model’s case (the indices are also gold). The hour and minute hands have an unspecified lume on all models. A simple minute track spans the outer perimeter and TIMEX is printed at the top with AUTOMATIC printed smaller at the bottom. A date window sits at 3 o’clock with black print on a white background. It doesn’t try to colour-match the dials and isn’t framed, but is positively “Timex” and I wouldn’t change it. And that’s all there is to it. The dials are simple, classy and very legible. But wait, there’s one more thing (to quote Steve Jobs). A fifth model exists with a silver dial, no date and Peanuts’ Snoopy printed at the bottom. Specs are the same otherwise, but it’s a fun “special edition” that lightens the mood a bit. The four standard models are available now with this special one coming in the near future. This is where things get interesting. Last year’s Marlin had a Chinese hand-wound movement that got the job done, but didn’t inspire much long-term confidence. The new Marlin Automatics have a proven Miyota 8215 calibre that’s inexpensive, reliable and serviceable. It has 21 jewels, beats at 21,600vph (3Hz) with a 38-hour power reserve. Functions include hours, minutes, central seconds (non-hacking) and date. As mentioned earlier, the movement is undecorated (with TIMEX stamped on the rotor), but fits the overall aesthetic well. And it certainly isn’t an ugly site behind the exhibition caseback. Miyota is quickly becoming the movement of choice for affordable automatic watches, whether from microbrands or well-established companies. The 20mm leather straps on all models come from the S.B. 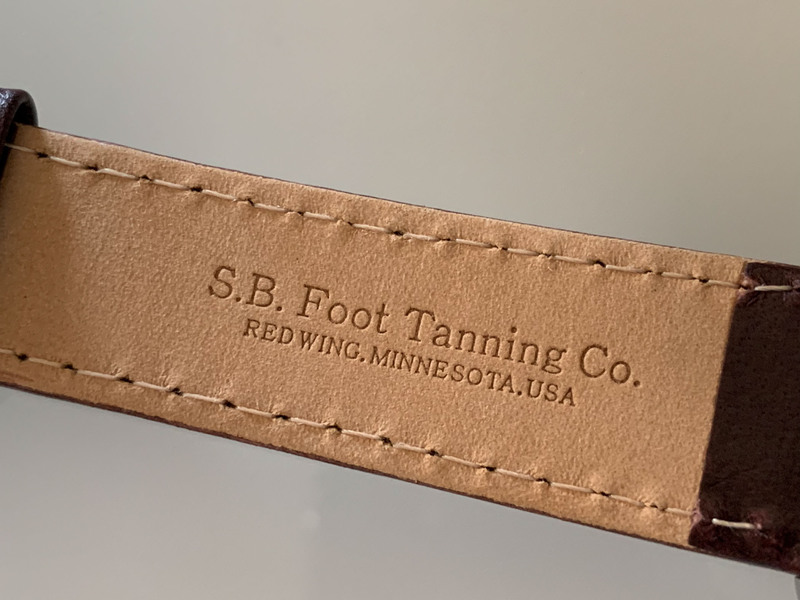 Foot Tanning Company in Red Wing, Minnesota. The silver model is equipped with a classic brown strap, the black/silver model with a darker brown strap, the burgundy model has a matching red strap and both the gold/black and Snoopy models have black straps. A stainless steel buckle is standard on all with TIMEX stamped on the end. 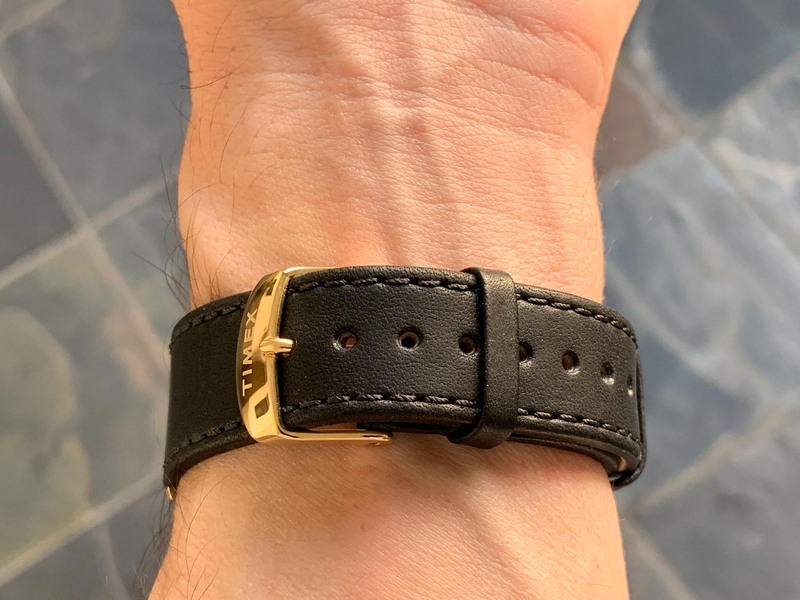 The straps are comfortable out of the box with no need for a break-in period and would be suitable for much more expensive watches. I simply have no complaints here. The new Timex Marlin Automatics, like last year’s Marlin, are just dripping with nostalgia. 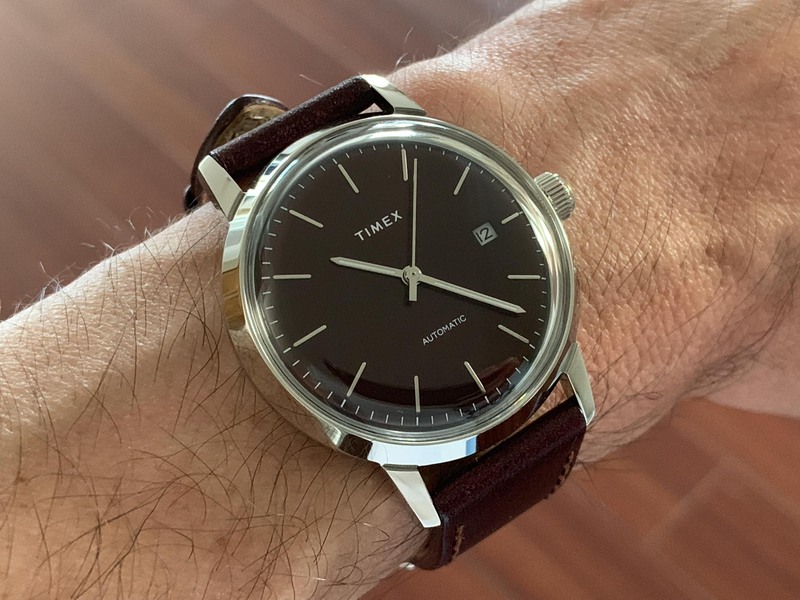 I’ve been dreaming of a contemporary mechanical Timex for as long as I’ve found wristwatches intriguing and the company has finally delivered. It has stayed true to the brand’s identity and these models are unmistakably Timex, and I’m a fan of the series. They can be worn with just about anything and are definite conversation starters when friends realize that a battery isn’t running the show. Millennials only know Timex as a quartz-driven brand, while older generations remember their mechanical roots. I’ve always been a fan of the brand and hope this is just the start of a mechanical revolution. And if Timex wants to dip their toes into the luxury category with, say, a USD 1,000 piece, I’ll be first in line. 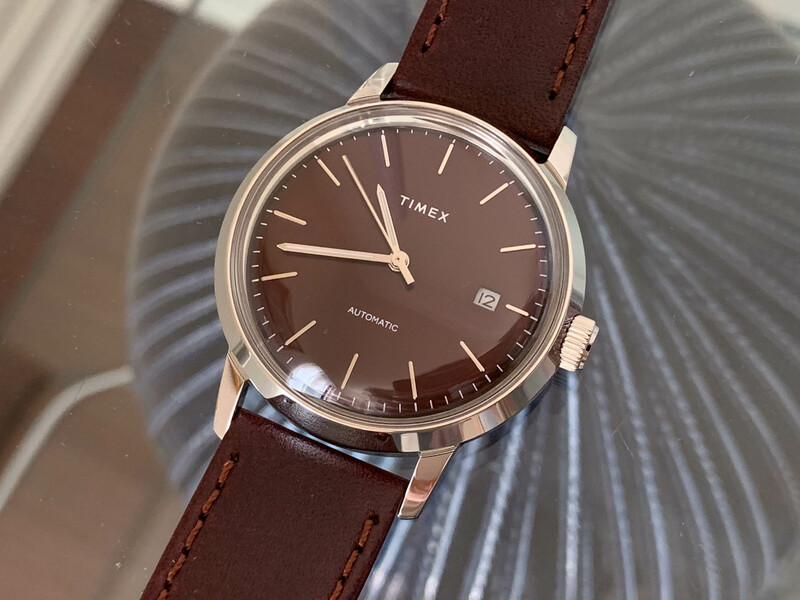 The four standard Marlin Automatics are available now at the Timex website and participating retailers (with the burgundy model an online exclusive). The Snoopy edition will be available in the coming weeks and all five models retail for USD 249. Timex offers a one-year warranty and a 30-day return period. All of its hands are way shorter than what they should be. The handwinding re-edition is more beautiful, in my opinion. Thanks for the history. The timepiece is welcome. Non-Hacking is a no go for me. Too bad no photos of the silver face, which I think is the most attractive. It’s a nice, cheaper alternative for those who are into the Max Bill vibe. 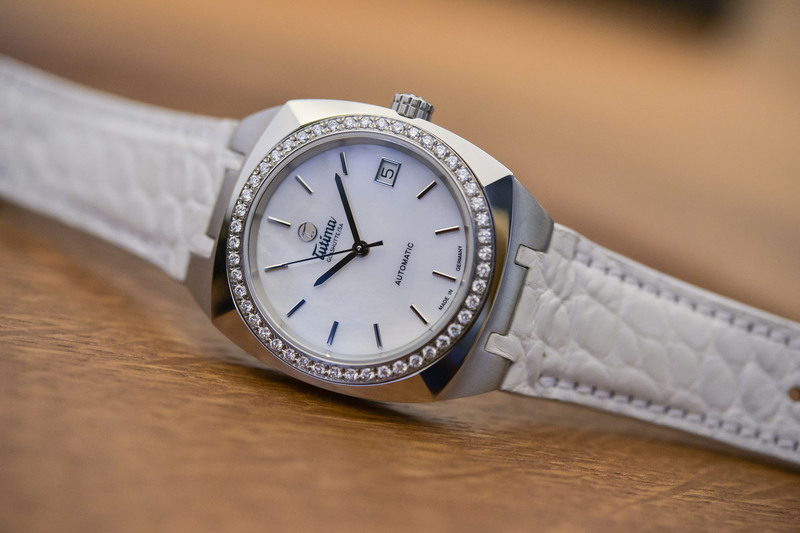 …and a great Orient Bambino alternative, too!